Allows simultaneous programming of two different activities from 24 hours to 1 second with an accuracy of 0.01% and resolution of 1 second. The alarm may be turned off or it is silenced automatically after 1 minute. For repetitive timing, a memory recalls the last countdown time set. 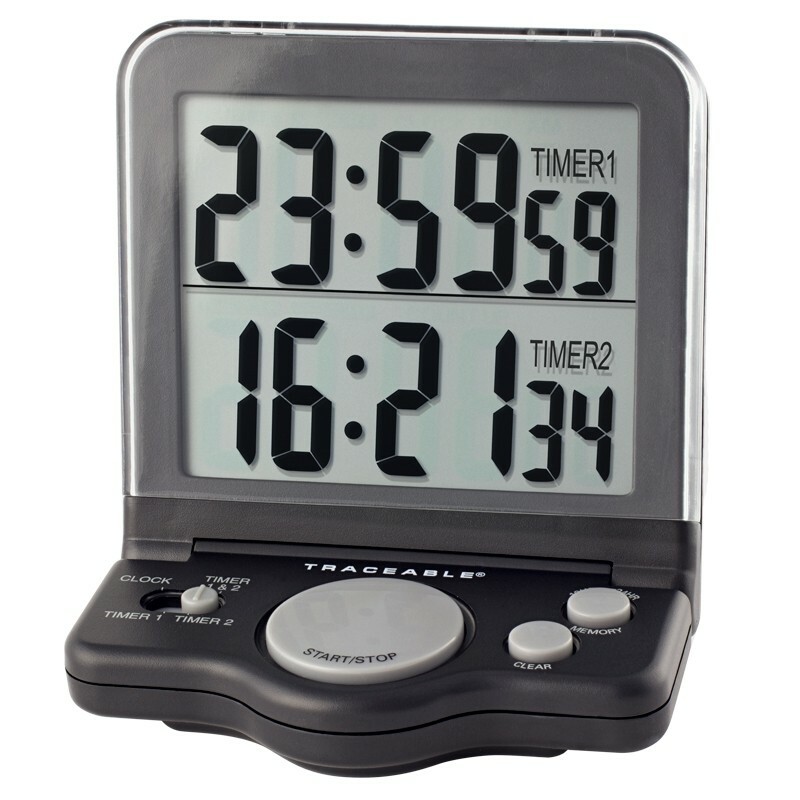 A second display mode shows time of day and a stopwatch. Jumbo, 1-inch-high LCD digits may be read from 30 feet. Use it flat, in the sit up position, or wall-mount with the bracket supplied.